Bertha’s Cafe is a local fan favorite restaurant. Try it and you will become an instant patron. Everything they make is made with love. It’s one of our top picks. Is Bertha’s Cafe at 32nd St & E Indian School Rd. 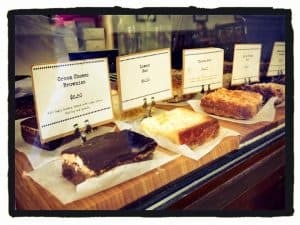 one of the best cafes in Phoenix? Without a doubt; as is evidenced by the large crowd thronging into the restaurant. The lunch crowd at this not-so-secret spot continues to trickle in well past one o’clock. Here, patrons enjoy the rare opportunity to sample affordable savory meals with an array of sweet treats added to the mix. 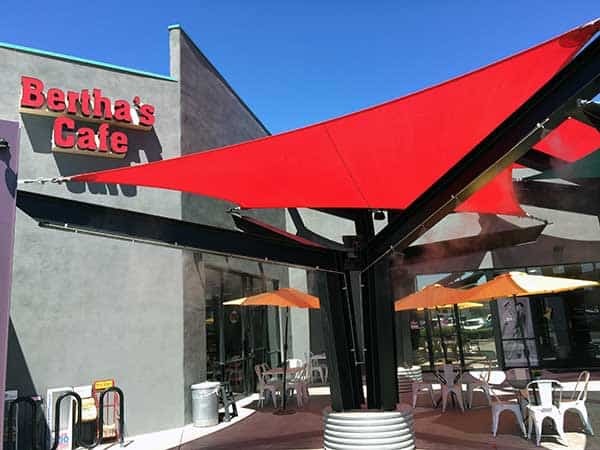 Bertha’s Café is the ultimate lunch spot for anyone that works or lives close by. If you ever find yourself en route to the strip mall at the northwest corner of Indian School and 32nd St. you should definitely make it a point to make a stopover. 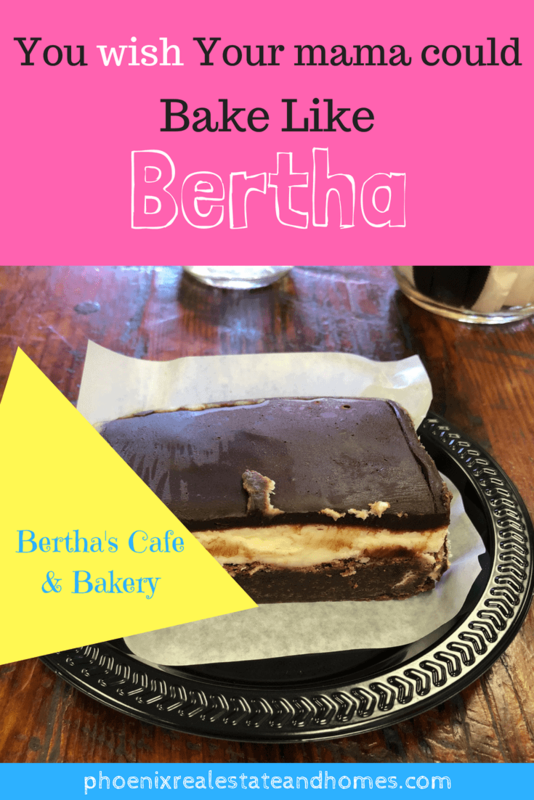 Baked goods take center stage at this hidden gem but most of all, Bertha’s Café is known for its breakfast sandwiches and its cheesecake. As a matter of fact, the cheesecake at this family-owned restaurant is so good that it was awarded the title of the best Cheesecake in Phoenix by the New Times magazine. With so many other great restaurants in the area, this is no easy feat to accomplish. When you walk into Bertha’s Café, you will be met by an interior featuring several black and white photographs of the Sonoran Desert and New York. The menu board situated up on the wall is small, but it does have all the classics listed. 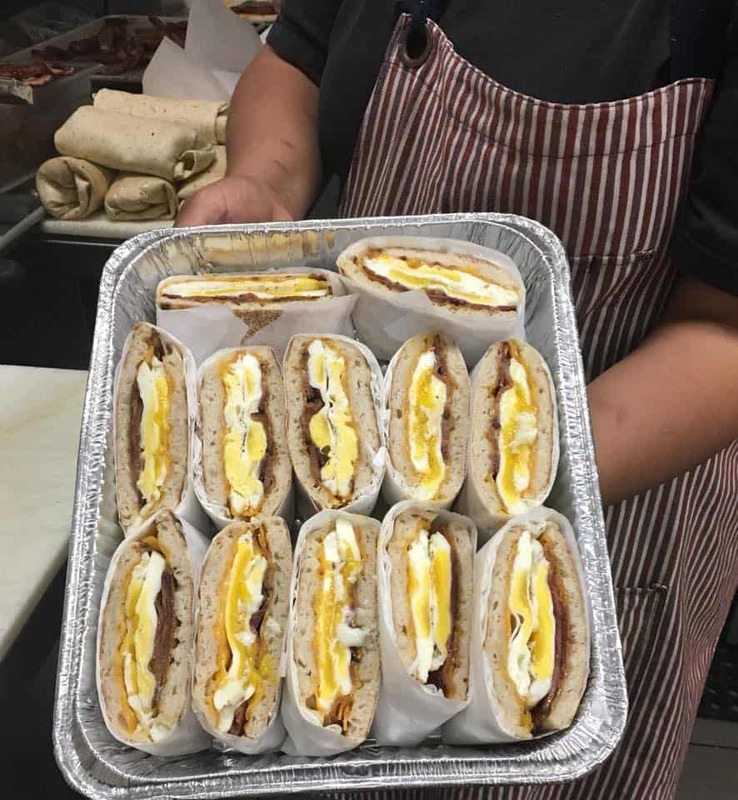 The menu is mostly made up of breakfast meals, as well as a selection of sandwiches and wraps. It will not take very long for your mouth to start watering as a result of the homemade desserts that have been deliberately and carefully placed in the display case. The breakfast is served at the counter while the lunch eatery serves the sandwiches and wraps along with an assortment of salads. 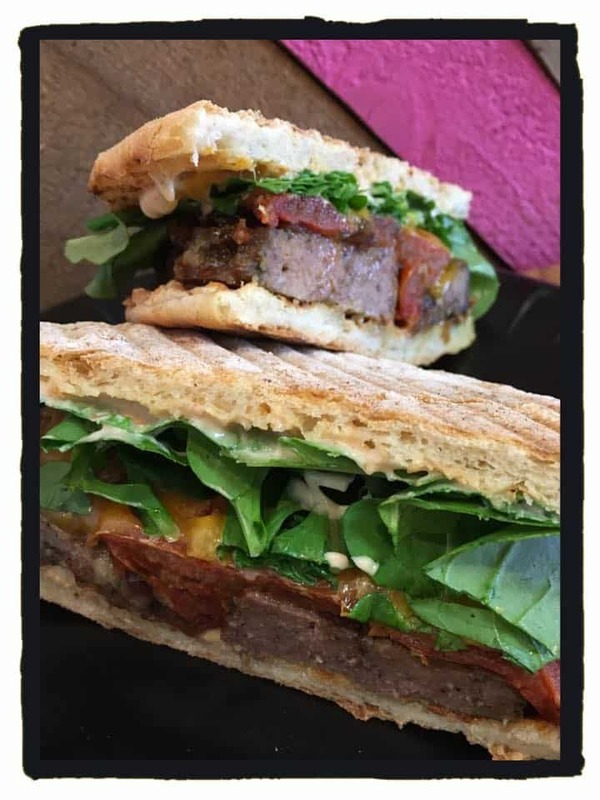 The sandwiches are really amazing and are crafted using fresh ingredients, meats that are roasted in-house, and Bertha’s signature sauce. This combination is all assembled between slices of multi-grain, ciabatta or sourdough bread. If you decide to go for the sandwiches, the roast turkey layered with pesto, mayo, bacon, avocado, tomatoes, Havarti cheese and a topping of a yumtastic balsamic onion marmalade should be enough to convert you into a regular. If you are ever in for breakfast, the breakfast wraps are also equally as impressive but you should spring for the light English muffin made of eggs, melted Havarti cheese, pesto, arugula and juicy roasted tomatoes. The sandwiches are also worth the visit owing to the use of the freshest ingredients and homemade dressings. The salads are never boring as they are often topped up with a range of ingredients including red peppers, walnuts, slices of apple, and of course, smoked bacon. On those rare and cold mornings, nothing will hit the spot like Bertha’s potato soup. 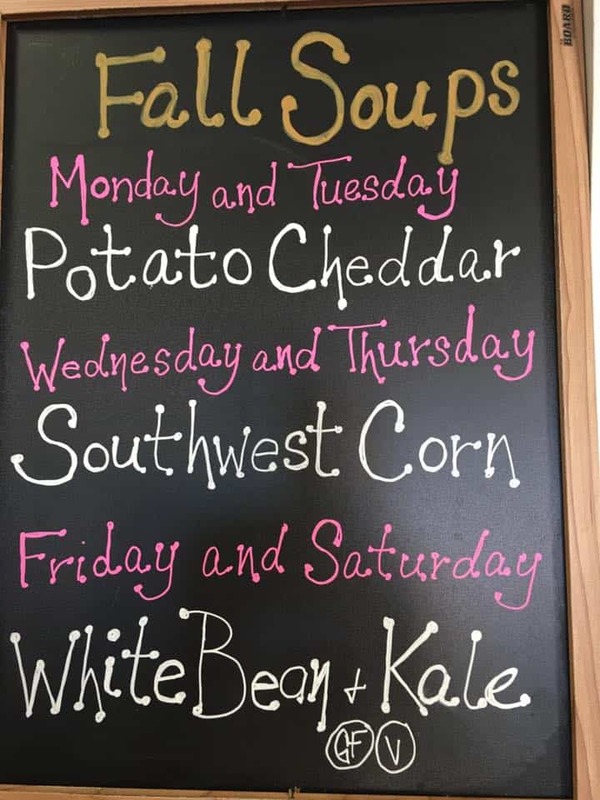 There’s a different soup every day. 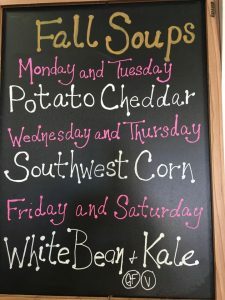 Order a soup and sannie if you need more than a salad, and still want to go light. Business lunch? Your guest will be lickin their chops and be screaming for more when you dine at Bertha’s Cafe. As you can tell I’m one of those fans. We probably go there 2 – 3 times per month. Minimum. It’s one of those places that just has to be frequent go to places list in the Cunningham household.